A 24-year old Sikh activist and model entered the ‘Guinness World Records’ on Thursday for being the ‘youngest female with a full beard’. 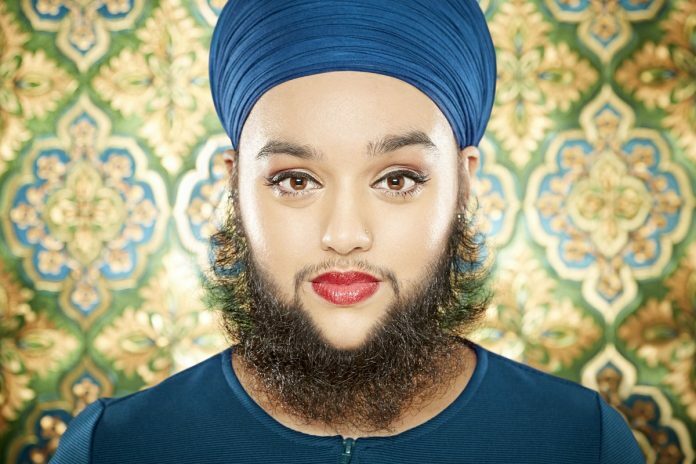 Harnaam Kaur who is popular for her body positivity campaigns on social media was now entered in the book for her six-inch-long beard. She is a resident of Slough, United Kingdom, who has been in the news of British media for recent years, having polycystic ovary syndrome. This causes her body to produce male hormones which trigger in the growth of excess body hair. She said that she has chosen to reclaim her body after facing years of bullying. Kaur also added, hoped that those “who read or see my record can take away positivity, inspiration and realise that no matter who you are or what you look like, you are officially amazing”. Guinness World Records said, “Now with a beard measuring as long as six inches in places, she overcame years of bullying to take ownership of her appearance and achieve this record title at the age of 24 years 282 days”.